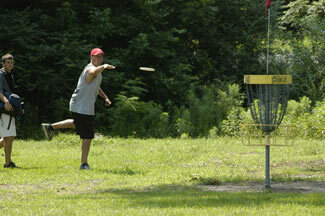 Spend a morning or the entire day enjoying one of America’s hottest new sports – disc golf! Barnet Park’s 18-hole course winds through the woods around the park. You’ll find downhill holes, uphill holes, doglegs and one heavily obstructed hole, but most of what you’ll find is a day of great fun for all ages. Play doubles at 3 p.m. every Sunday during daylight savings time, but come early to sign up. Check kinstondiscgolf.com for special events. During other months, call for hours of operation. Hop aboard the express and say “howdy” to Big Daddy Beaver, Rocky Raccoon, and Penelope Possum’s family. The leisurely ride rambles over 1200 feet of castor designed steel track. Approximately 40 children and/or adults can be accommodated each trip. 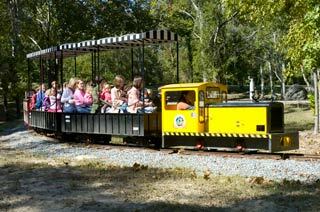 Make sure the entire family visits the 1927 Vintage B&O Railroad Caboose to purchase tickets and souvenirs. Come enjoy a spa day at The Beauty Box located in Downtown Kinston in the Historic Hometowne Exchange. The spa services available are manicures, pedicures, facials, massages, and waxes. The Beauty Box also offers hair services. Come spend a say with us to get you ready for a day/night in Historical Downtown Kinston. Open to the public, includes a small club shack which is staffed in the summer on the weekends. They have a practice green. There are sand traps. Nice little public par 3, greens are bumpy enough to rate it as pasture golf, though it’s pretty well maintained. Very laid back attitude. Drink machine behind an office building on the 6th tee. Restrooms are across park near ballfields and playgrounds. Baseball has always been a popular pastime in Kinston and Lenoir County. Today visitors can enjoy the Down East Wood Ducks at Historic Grainger Stadium, a premium site that has won awards for its beautiful and immaculately maintained field. The stadium was renovated recently to provide new scoreboard technology, comfortable seating and plenty of restroom space. 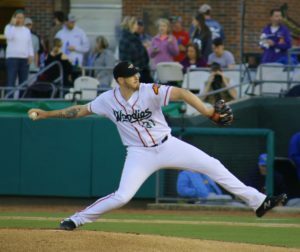 Check the VisitKinston calendar and https://www.milb.com/down-east often for a listing of games and events at Grainger Stadium such as the Freedom Classic Tournament. And by the way–parking is free! The Ironclad Motorcross & Extreme Dirt Track Racing flat track is centrally located in Lenoir County at the fairgrounds. Competitors come from all around not only to race against the best riders anywhere but also have the chance to face the “IRONCLAD”! Whether you face the thrill of the Supercross-style dirt bike track, or the speed and fun of the ATV pro flat track, these tracks have it all…and only the strongest even dare to race it! Spend a day or an evening watching one of auto racing’s most thrilling events! 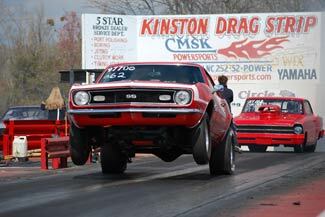 The Kinston Drag Strip has been in continuous operation since 1960 and its concentration on family-oriented fun is one big reason. The track offers fans the chance to see as many as 150 cars battle for up to seven hours during a regular race. Drivers come from across North Carolina, Virginia, South Carolina and as many as 15 other states. Kids of all ages love meeting and talking with the drivers. Sit in the bleachers or bring your own lounge chair. All events are sanctioned and insured by the International Hot Rod Association. Admission is included in Woodmen Community Center membership. Group rates and special evening packages available. Enjoy some fun in the sun with your family and friends at Lions Water Adventure. 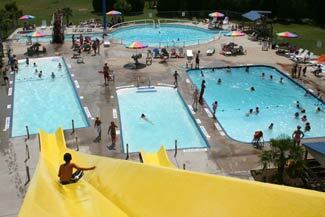 This outdoor waterpark features a variety of activities that promise lots of fund for kids of all ages! 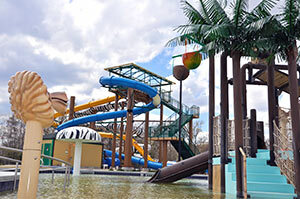 Lions Water Adventure also has a concession stand, lockers and family changing areas, and picnic areas for family gatherings or corporate events. Come to Lions Water Adventure for a roarin’ summer of fun! Neuse Sport Shop has an indoor firearm training facility. It includes 8-lanes fixed position shooting stalls with a granulated backstop. Gun rentals are available. There is also an indoor archery training range. It includes a 5-lanes fixed position firing line. The ranges are heated and air conditioned. Call for more information. Whether you’re an RV-er or a tent camper, Neuseway Campgrounds has got you covered! Here you can camp under the stars and listen to the nightly sounds of owls and frogs on the nearby riverbanks. Full hook-ups, including water and sewer, bathrooms and showers, fire rings, picnic sites, a dump station, 20-, 30-, and 50-amp electric hook-ups, river access and a covered 30-foot by 60-foot picnic shelter are available. Full hook-ups are $10 per day. Tent sites are $6. Or enjoy the newest addition to the campground by sleeping a relica Indian Tepee for only $25 for minimum of two nights. Reservations will assure you of a spot. Facilities are also available for larger groups, such as family reunions. 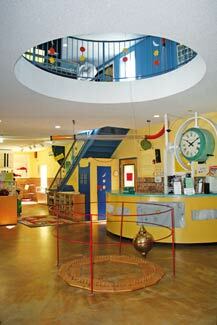 The Neuseway Nature Center is a safe, entertaining and educational place for children that will capture their minds and hearts. Exhibits include plants and animals native to North Carolina such as poisonous and non-poisonous snakes, turtles, alligators, raccoons, osprey and a red-tailed hawk. A talking African Grey parrot enjoys telling a nearby cockatoo to be quiet, and the parrot’s conversation will amaze children. A saltwater tank lets children touch sea creatures, and experienced staff members will help them climb a 16-foot by 24-foot rock climbing wall. If fishing is your passion, you can borrow a rod, reel and tackle to fish in one of the center’s ponds stocked with channel catfish. Rather go boating? Sixteen-foot Mohawk canoes, oars and life jackets can be reserved. And if you enjoy walking, several self-guided nature trails wind their way through the 55-acre site. Kids will love the fun and never realize they’re learning as they crawl through a giant model of intestines, a mouth, a stomach, an underground tunnel of blood vessels or watch a puppet show in the museum. They’ll love the bubble machine and other hands-on health and science exhibits designed to teach and amuse children of all ages. The 52-seat planetarium has a giant dome to display the sun, moon, stars and planets. Children and adults will gaze with wonder at the galactic shows offered at 1 and 4 p.m. Tuesdays through Fridays. On Saturdays, shows start at 11 a.m., 1:00 p.m., and 4:00 p.m., and on Sundays at 2 and 4 p.m.
As the dog days of summer approach, your little ones can have a “cool” day in the park splashing in Kinston’s latest water feature addition. 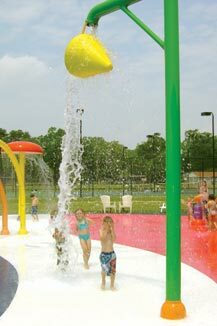 Six exciting water sprays, dump buckets, and splashers will entertain and delight children 12 and under. A shade cover, lounge chairs and umbrellas will keep Mom or Dad “cool” while the little ones play. Parents will be happy to know that there is an attendant on duty. The Splash Pad is available for private party rental. Your furry friend is the special guest at this park featuring a retrieving area, two ponds, walking trail for two and four feet visitors, agility course, and exercise area! The park is in the developing stages and should be open by Fall 2008. Come enjoy the warm, friendly atmosphere at The Total Experience Salon and Spa. The full service Salon and Spa staff are a great team of stylists and therapists that work together to make your experience a totally great one! Body treatments include: mineral salt/sugar, seaweed green clay wrap, Sedona red clay, and sunless airbrush tanning. Other services include: facials, manicures & pedicures, massage therapy, and waxing. 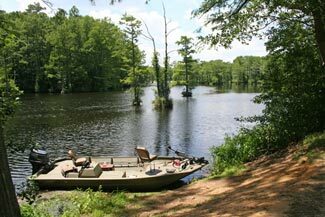 Whether you prefer to spend a couple of hours or the entire day, there is plenty to enjoy at Tull’s Mill Pond, a 200-acre millpond that is open to the public for fishing, kayaking and canoeing. Spend the afternoon bird watching, picnicking on the grass, or collecting beautiful photographs. The pond is stocked with bluegills, channel catfish, largemouth bass, shellcrackers, fliers, robin and perch. A concrete boat ramp provides access for those fishing with their own boat. Bank fishing is also available along with an on-site bait shop open 7 days a week. Beat the heat as you swing on a trapeze 10 feet above a sparkling pool, or zip down a four-story water slide into another pool. Whether you want to spend the day relaxing by one of five pools, diving or playing water basketball or volleyball games, this is the place to enjoy the day with the entire family. You can feel safe knowing certified lifeguards are also on duty. Snacks and sodas are available. Private party bookings and birthday packages for groups and organizations are also available.